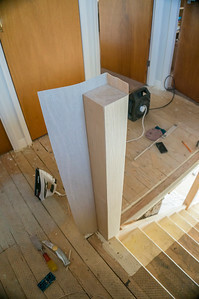 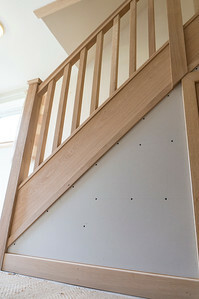 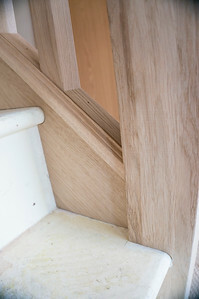 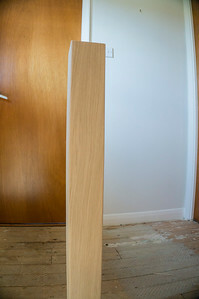 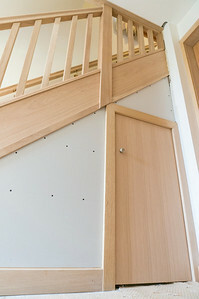 Lining of stair with Oak veneer. 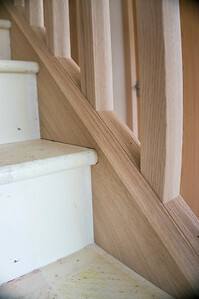 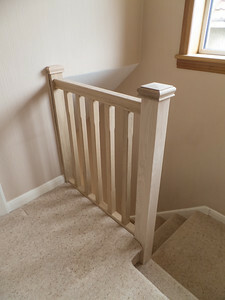 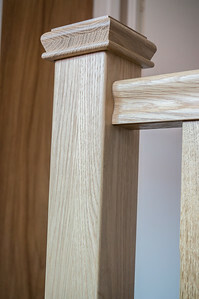 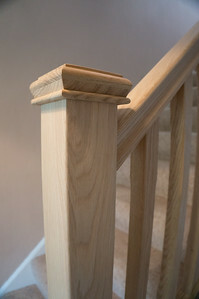 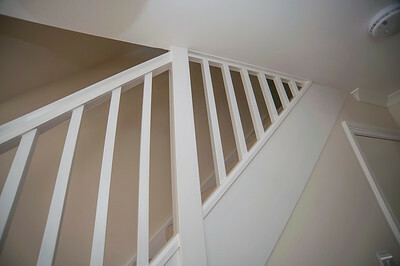 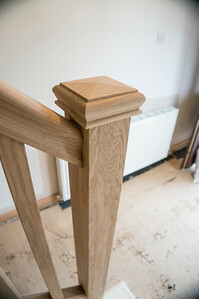 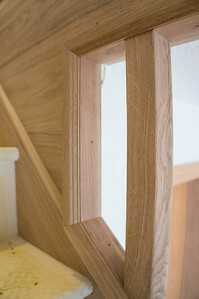 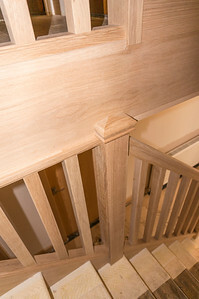 Completed stair parts in Oak. 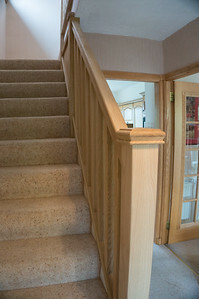 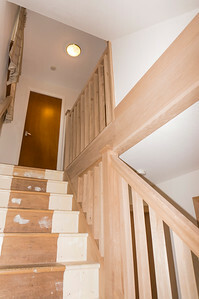 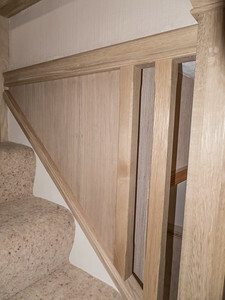 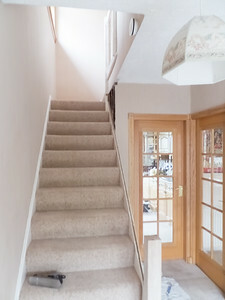 Completed stair parts in Oak and new understair door and facing in Oak. 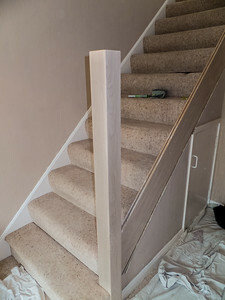 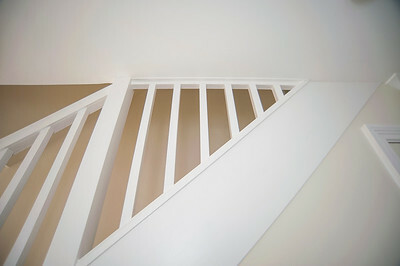 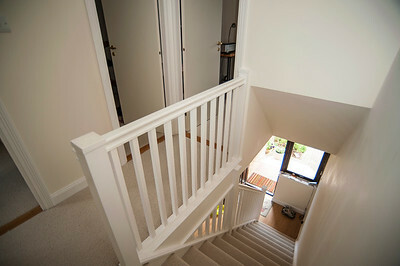 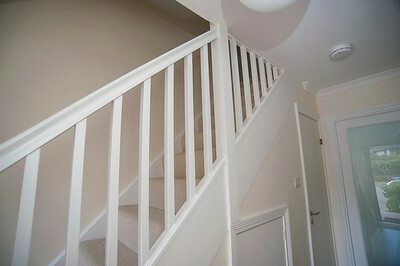 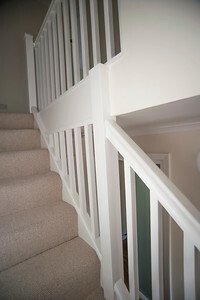 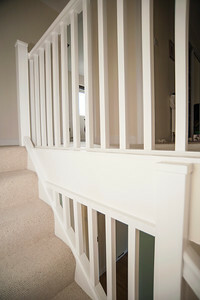 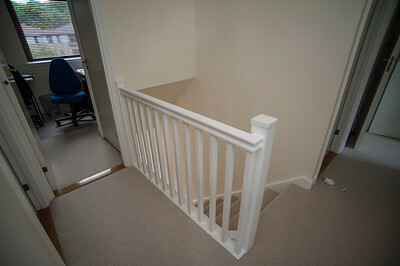 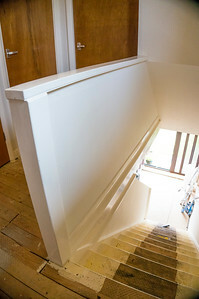 New stair with paint finish. 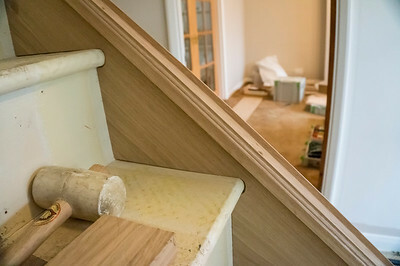 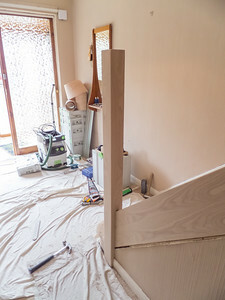 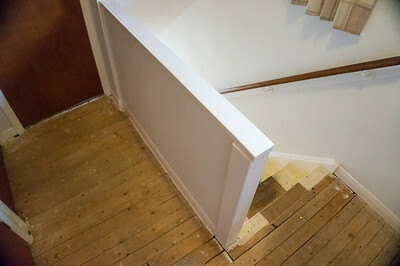 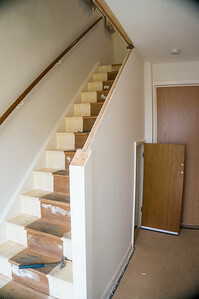 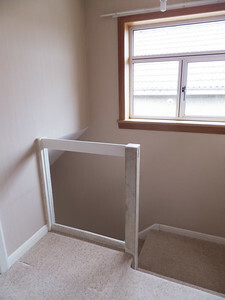 Old handrails and panelling removed. 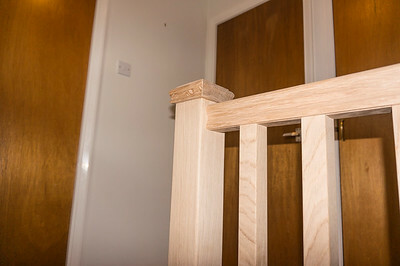 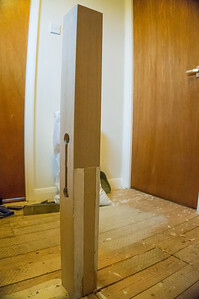 Old newel post extended in height. 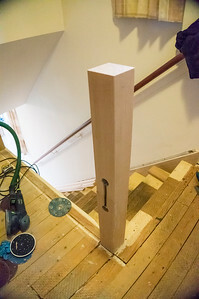 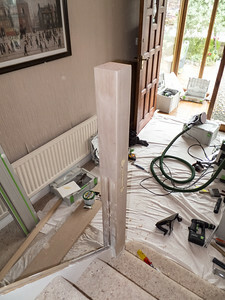 Old newel post extended in height. 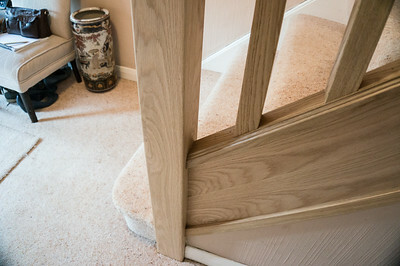 and veneered.